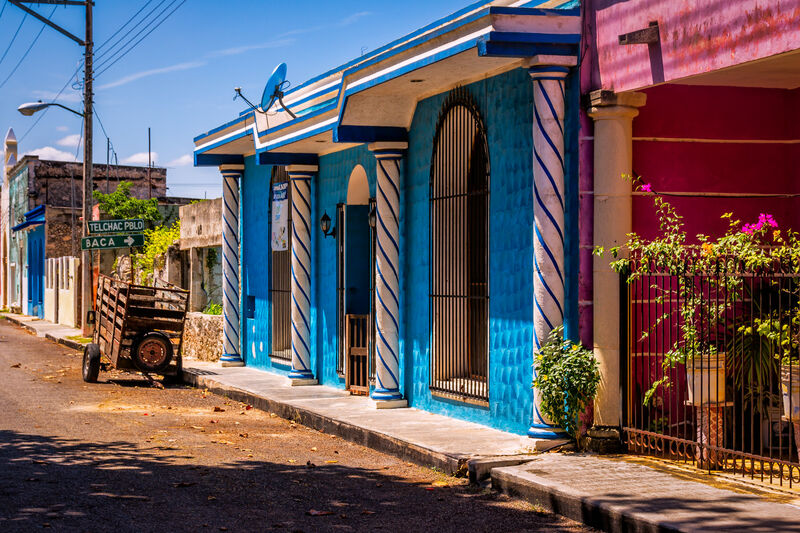 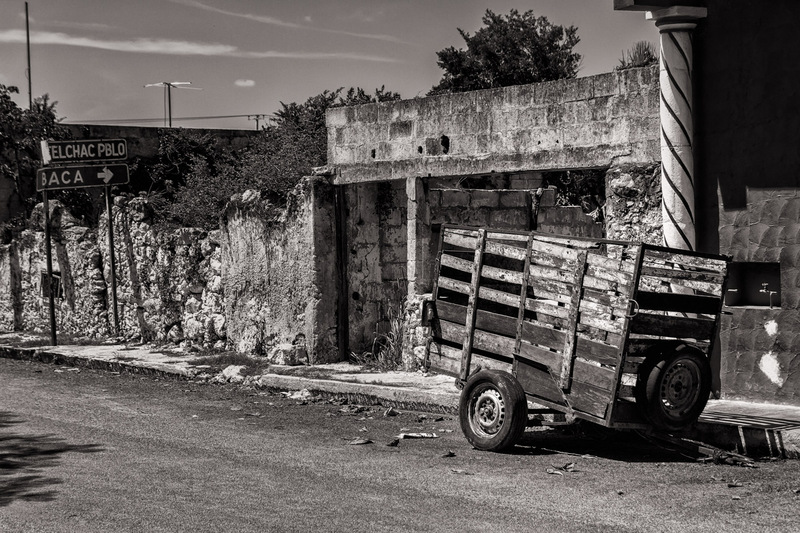 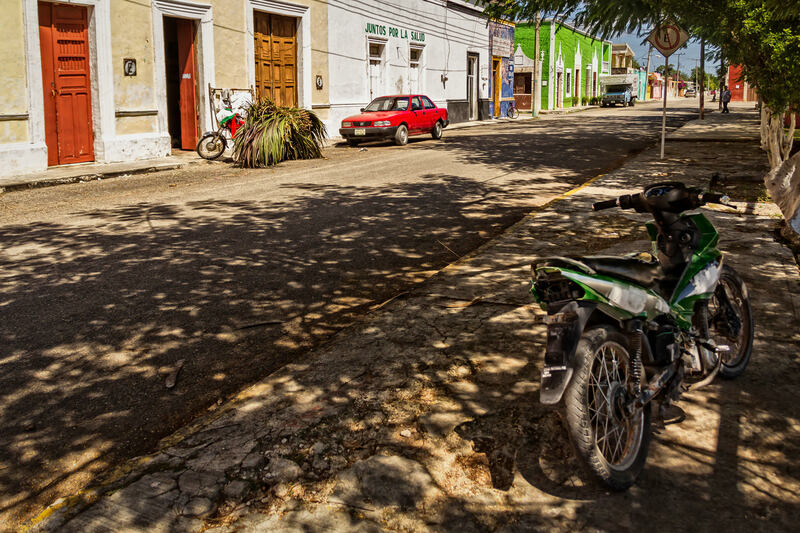 A motorcycle sits in the shade on a street in the village of Dzemul, Yucatan, Mexico. 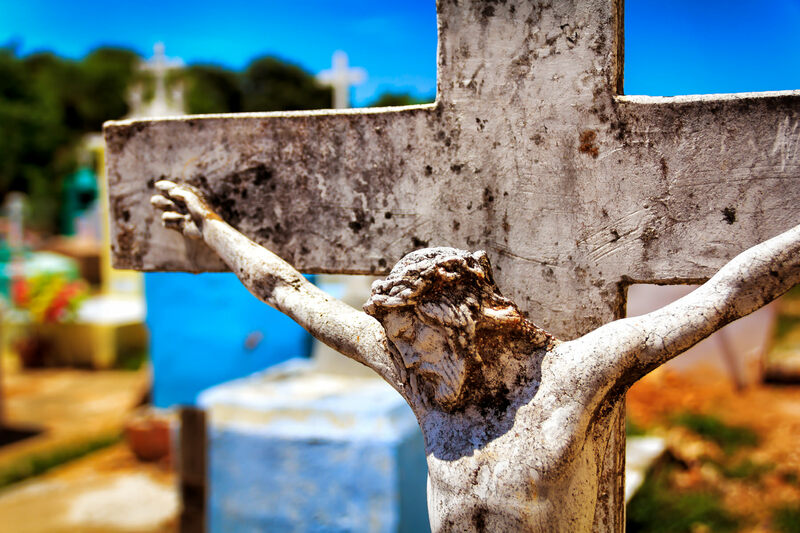 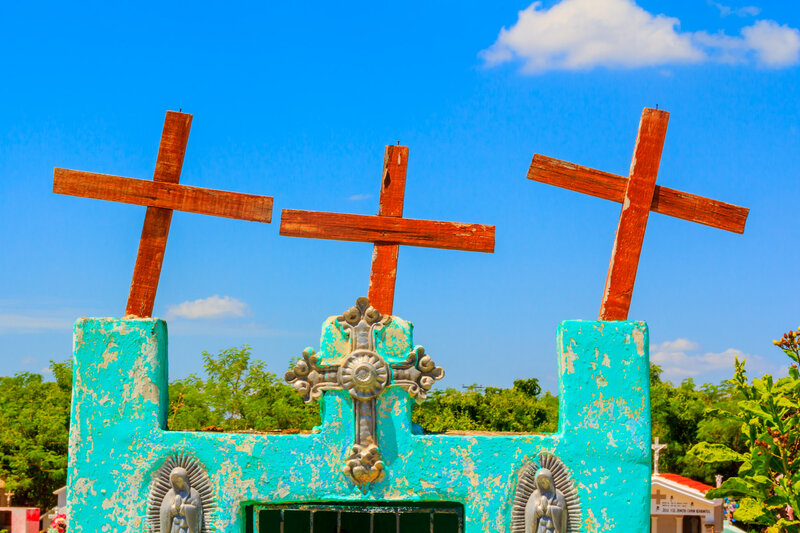 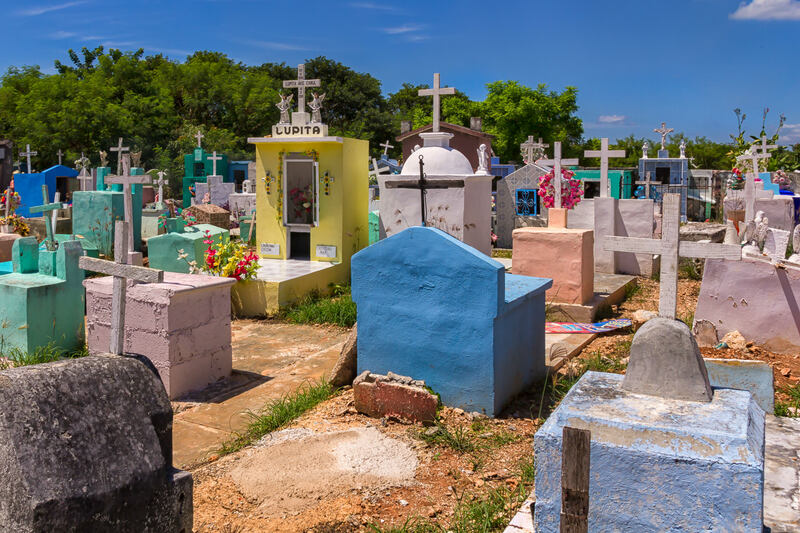 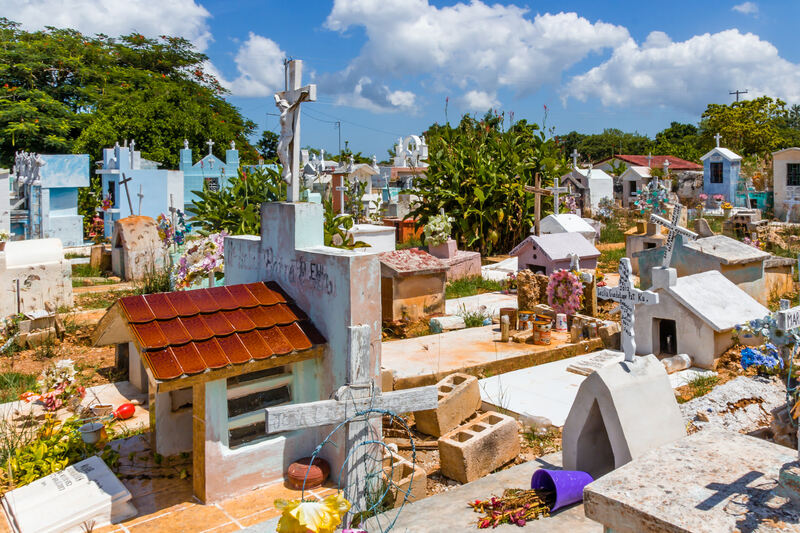 Crosses atop a colorful grave at a cemetery in the tiny Mayan town of Dzemul, Yucatan, Mexico. 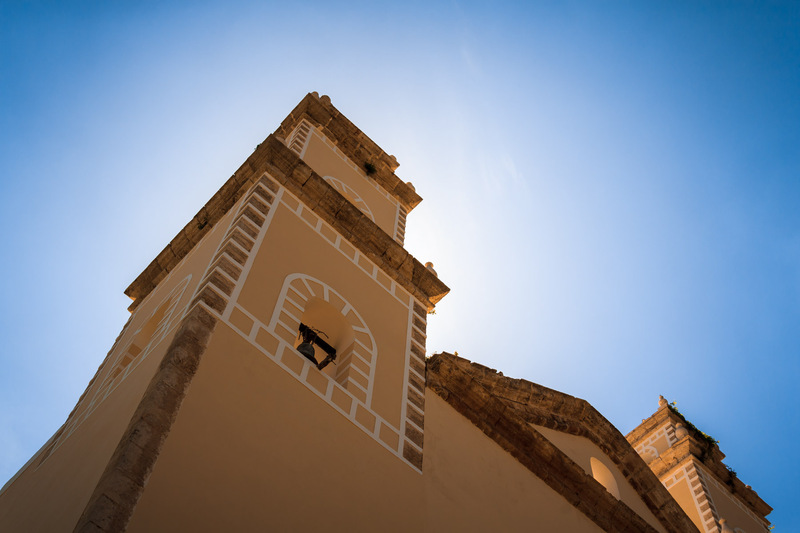 The steeple of the Catholic church in the tiny town of Dzemul, Yucatan, Mexico, obscures the midday sun. 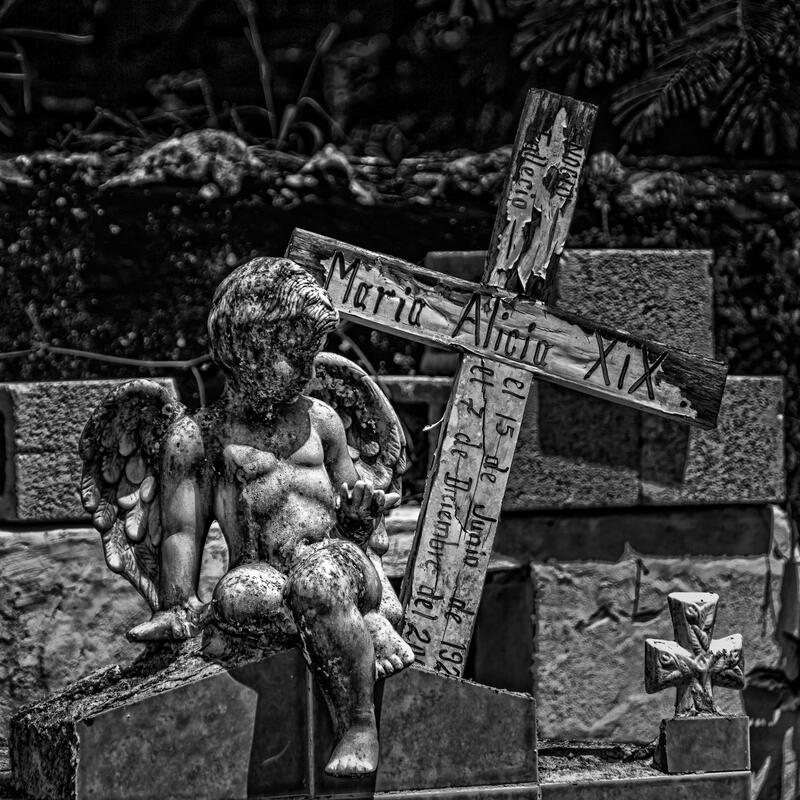 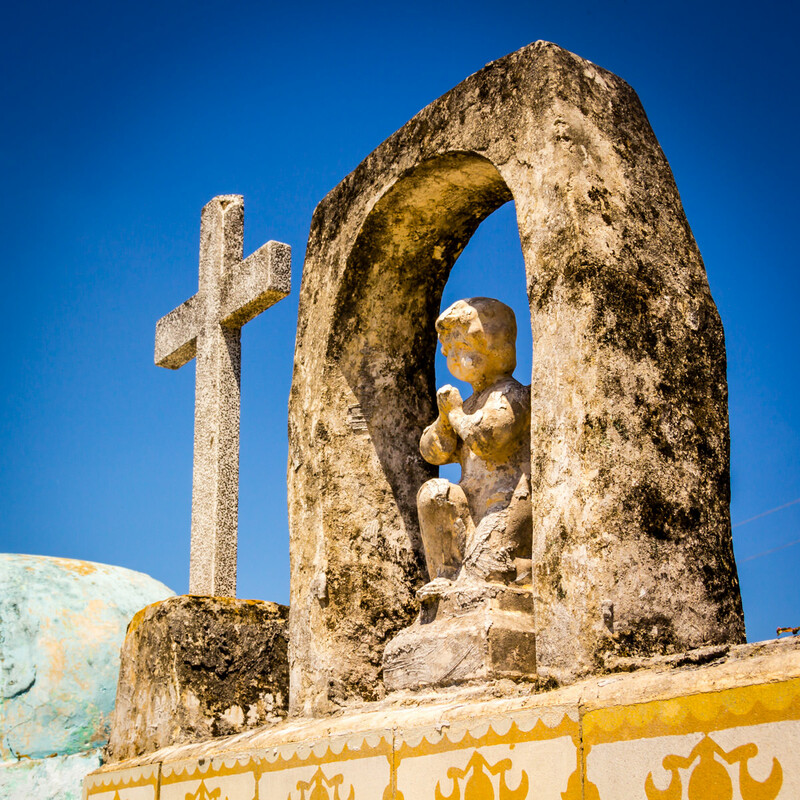 A cherubic statue atop a grave in a cemetery in the Yucatan town of Dzemul, Mexico.